Made in the UK by Intelligent Armour Limited from 1000D & 500D Crye Multicam Cordura. 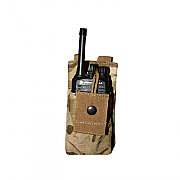 The IA Multicam PRC 112 Radio Molle Pouch is designed to fit the British Military communications set PRC 112. 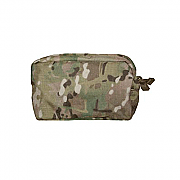 Manufactured from 500D Cordura Multicam and sewn with type 69 nylon bonded thread, this Molle radio pouch is built to last! 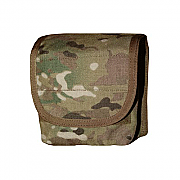 The Multicam Blackhawk Medical Molle Pouch is manufactured from 1000D Nylon with Crye Multicam print. 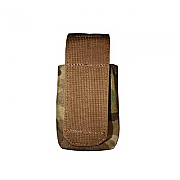 Tough and strong and very well thought out, this pouch is great for frontline combat operations. Multicam Blackhawk S.T.R.I.K.E. 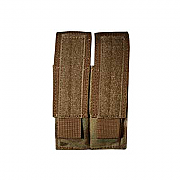 M4 Triple Mag Pouch Holds 6, New Blackhawk Multicam. 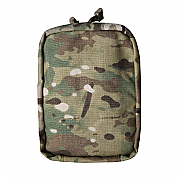 New to the Blackhawk range, the MULTICAM Blackhawk S.T.R.I.K.E. 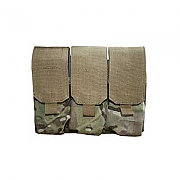 M4 Triple Mag Pouch Holds 6, is designed to hold size M4 size rifle magazines and will fit SA80, M16 & AK47 size Magazines. 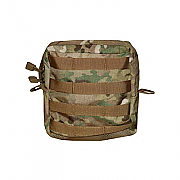 The Blackhawk STRIKE MBITR Radio Pouch in Multicam is well manufactured from 1000D Nylon in Crye Multicam by Blackhawk. 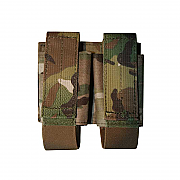 Multicam Blackhawk S.T.R.I.K.E. 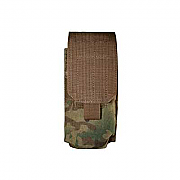 Double M14 Molle Pouch, New Blackhawk MULTICAM. This Multicam Blackhawk S.T.R.I.K.E. 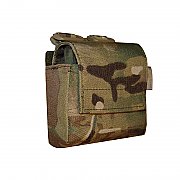 Double M14 Molle Pouch is ideal for mounting on any S.T.R.I.K.E compatible vest, bag or rucksack, holds two Magazines and will fit SA80/M16/AK47 size rifle magazines. Multicam Blackhawk S.T.R.I.K.E. 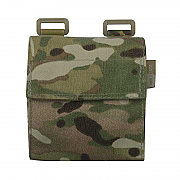 40mm Molle Pouch (Holds 6), New Blackhawk Multicam. Multicam Blackhawk S.T.R.I.K.E. 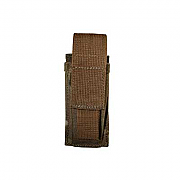 40mm Molle Pouch holds 6 40mm rounds and is an ideal addition to any Molle compatible vest, bag, belt or pack. Multicam Blackhawk S.T.R.I.K.E. 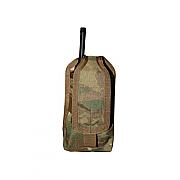 PRC-112 Radio Molle Pouch, New Blackhawk Multicam. The Multicam Blackhawk S.T.R.I.K.E. 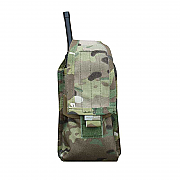 PRC-112 Radio Molle Pouch was designed by Blackhawk to aid in speed and ease during military operations and assaults. 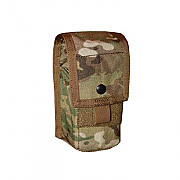 This Multicam Molle pouch will fit most brands of personal radio and was designed for easy access and speed of use. Multicam Blackhawk S.T.R.I.K.E. 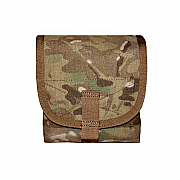 Single Pistol Mag Pouch, New Blackhawk Multicam. The Multicam Blackhawk S.T.R.I.K.E. 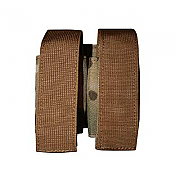 Single Pistol Mag Pouch hybrid design allows for mounting up to 2.5" using ALICE clips. Multicam Blackhawk S.T.R.I.K.E. 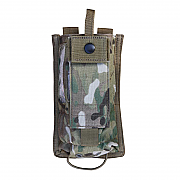 Single Pistol Mag Pouch can also be fitted to any Molle vest, rucksack or S.T.R.I.K.E and Molle systems.